LA Sentinal: Areva Martin, D.L. 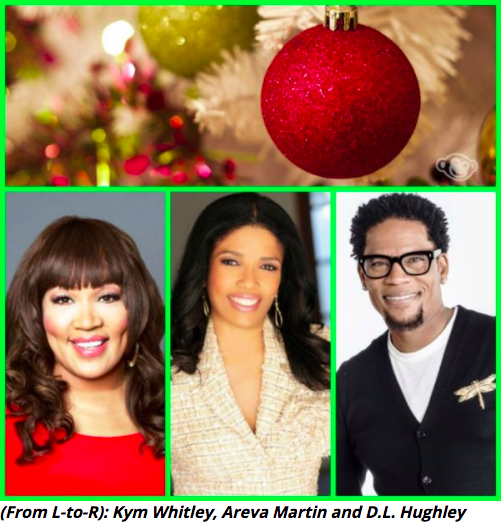 Hughley & Kym Whitley: 4 Weeks of Giving to Kids! This entry was posted in Status and tagged 4 Weeks of Giving, Areva Martin, D.L. Hughley, D.L. Hughley Foundation, foster children, kids with autism, Kym Whitely, Special Needs Network, Toy Drive, Turk PR. Bookmark the permalink. FULLER HOUSE’S MICHAEL CAMPION Q&A WITH ENTERTAINMENT SCOOP!